An organization that takes the arts seriously, Sing for Hope attempts to make music and performing accessible to people all around New York City. Thanks to a long list of volunteers and performers, Sing for Hope can help provide a creative awakening among communities that lack the necessary resources. Here are four of the best reasons to support this organization. By providing different musical instruments throughout the five boroughs of New York City for two weeks in the year, Sing for Hope brings music to everyone. People passing by can sit down on a beautifully crafted piano and play whatever they want. These pianos sit in different street spots for two weeks, after which they are donated to schools, community areas or hospitals that cannot afford to buy them. Thanks to a dedicated group of staff members and volunteers, Sing for Hope can offer rehearsals and classes to high school students who are interested in the arts. All of these classes are free, with students getting the chance to sing individually, in pairs and in groups. Everything from modern music to the classics is on the table, giving students the chance to really test their vocal chords. Some of these classes are transformed into concert events, where schools and the participants' families can see what they have been working towards. Sing for Hope never stops trying to promote their ideology of getting the arts into under-privileged communities. They host plenty of special events such as art shows, concerts, and fund raisers where donors can get a sense of what the organization is striving to achieve. One example of a special event is the Sing for Hope Gala, where around 500 people come together to enjoy a fancy dinner and plenty of special performances. Sing for Hope partners with plenty of organizations throughout New York City. They work in tandem with community centers, middle schools, high schools, community colleges, and other arts centers to improve the arts education for young adults throughout the city. Partnering with other organizations ensures that Sing for Hope is not fixated on their own agenda. Listening to the ideas and ambitions of other organizations helps Sing for Hope bring about real change in the way arts are perceived in New York City. Click here for more information about Sing for Hope, their programs and the organizations they partner with. Regardless of your child’s age you want them to see them succeed and develop in school but as a parent you might feel a little far removed for your own school years. Not to mention, a lot has changed since then. With developments in technology, teaching methods, and classroom environments you may feel a little overwhelmed when deciding the best way to help your kid acclimate and adjust to the classroom. These are four great tips that will help you assure your child will succeed. 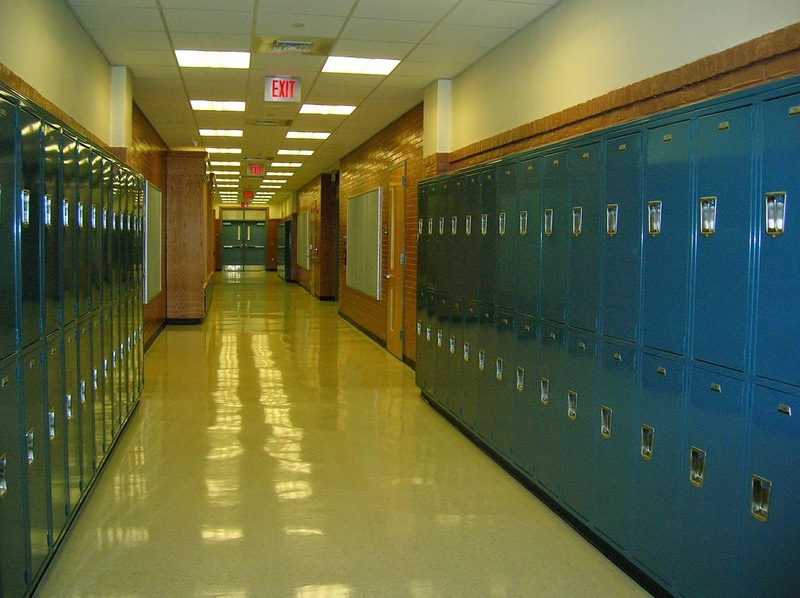 Being a part of your kid’s school experience will help show them you care about what they are doing. Volunteering to chaperone field trips or school events can be a great way to see the environment you child experiences. If you are a working parent and can’t take time off work, don’t worry. Another great way to get involved in your kid’s academic life is to help them with homework, ask them about what they’re learning, and talk to them about their day. Not only is this a great way to bond with your child, it will help motivate them to do well. Technology is now an integral part of the classroom, which means there can be, a great deal of material assigned online. The Internet is also a great way to help answer your child’s questions and encourage them to explore new ideas. Having reliable high speed Internet doesn’t have to be expensive, there are plenty of options that are fast, cheap, and require no contract. Checkout http://frontierinternet.org/frontier-fios/ to see just one example of what good Internet looks like. Having a reliable internet connection will help keep your child on track with learning. Having a laptop or tablet handy can be an excellent way for your kids to do homework without being tied down to a desk. A portable computer can allow your kids the freedom to do their homework where they feel most comfortable whether it be outside or on the couch. Most laptops come with parental control options so you can have some say in what your child is able to do and see. If you can’t afford the newest model with all the bells and whistles, don’t worry, there are plenty of high quality refurbished laptops that can cost under $200.00, this is a worthy investment in your child’s education. Consistency and predictability is possibly one of the best things you can offer your child to insure success. Simple things like having dinner at the same time every night, keeping a set bedtime, and developing a morning ritual will help your kid feel a sense of order in their lives. Not only is setting a routine good for you child now but it will also help them be more organized and focused later in life because they are more likely to stick with the good habits you taught them growing up. Hi guys! I'm really excited to host a giveaway for you, and review this product. 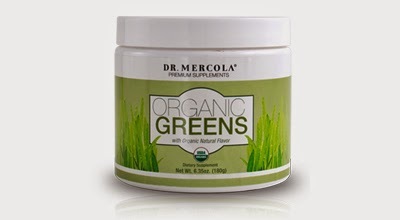 It is from the company Dr.Mercola. Disclosure: I received free product to facilitate review. Sponsor is responsible for giveaway fulfillment . All opinions are my own. Today I would like to review another product, from Trusted Health Products. It is called Relief MD. ReliefMD uses a revolutionary new approach to extract living nutrients from plants and nuts in order to deliver a 100% pure formula of botanical oils (from nature herself) to feed our body the nutrients it wants. ReliefMD is a massage in a bottle. Swipe one drop above upper lip just below the nose, one drop across the forehead, and then lightly cover affected area (do not rub in). Use three times per day, or as needed. Wash hands after use. Avoid contact with eyes and other sensitive tissue. Keep out of the reach of children – do not ingest. Do not use on open wounds. Best to apply immediately after burns and insect bites, stings, workouts, bruises and sprains. You should consult with a healthcare professional before starting any natural products. #Cube™ speaks to the enormous popularity of photo-sharing sites such as Instagram by enabling the socially connected to enlarge their viewing experience of photos and videos, from the smaller confines of a smart device. It is an extremely innovative, attractive, & easy-to-use wireless living photo canvas which showcases your favorite social photo & video streams. 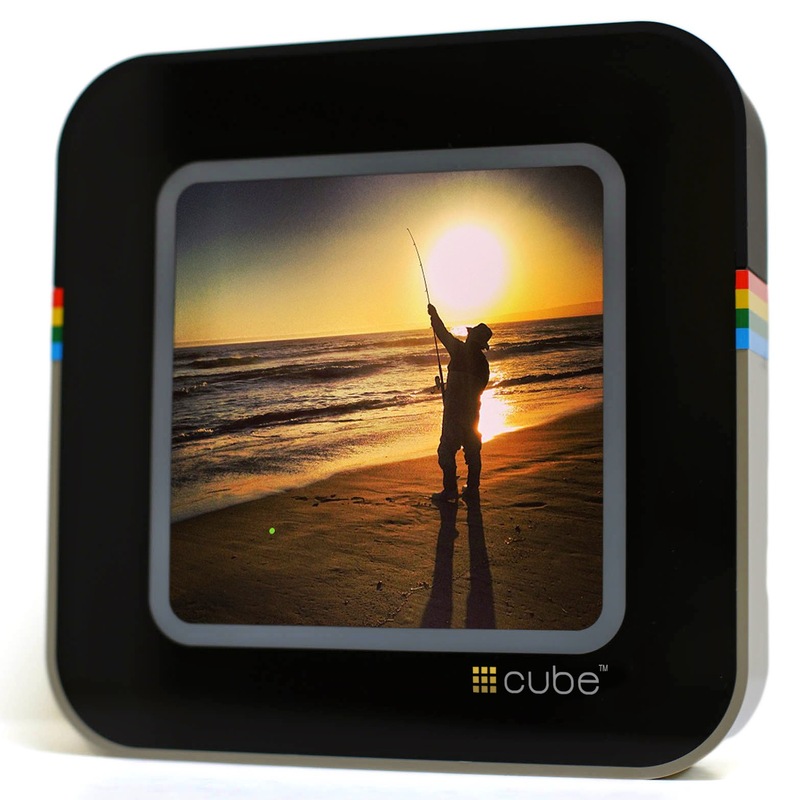 · A large 8” square LCD touch screen display, giving the retro-inspired #Cube™ a modern touch. · Real-time and instant continuous delivery of a stream of photos and video clips, enabling users to enjoy and display real-time social network images from friends, family, and favorite celebrities. · Rechargeability and built-in Wi-Fi as well as free wireless software updates that enable new features & application support. 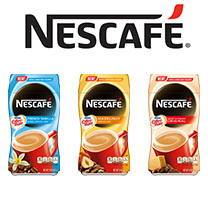 I got some Nescafe with Coffeemate to review. This is a new product that recently just came out. The flavors are: Hazelnut, French Vanilla & Sweet and Creamy Original. I first received the Hazelnut flavor. I really liked it and it is very creamy and flavorful. Sometimes I don't like very sweet flavors, but this tasted great and was not too sweet at all. This is a "scanned copy" of my daughter's school picture. The coloring is funkier than looks in person, and I have not received the whole package of pics yet - because the school/photo place screwed up. Hopefully receive soon - because I like to give these out to my family! Happy WW - have a great day! Watch vlog for EnvyDerm mascara review! twirl the brush in the tube instead of pumping it in and out as this will only dry out your mascara. Hi - I went to visit family for Thanksgiving. 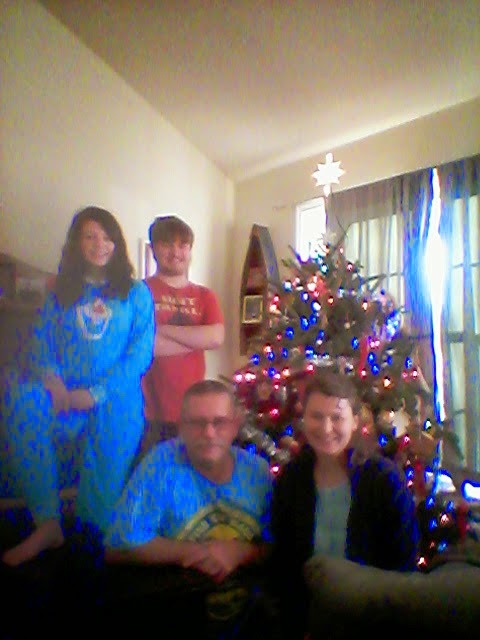 We left first thing last Tuesday & came back late Saturday. Very long car ride (about 600 miles one way) - not fun. 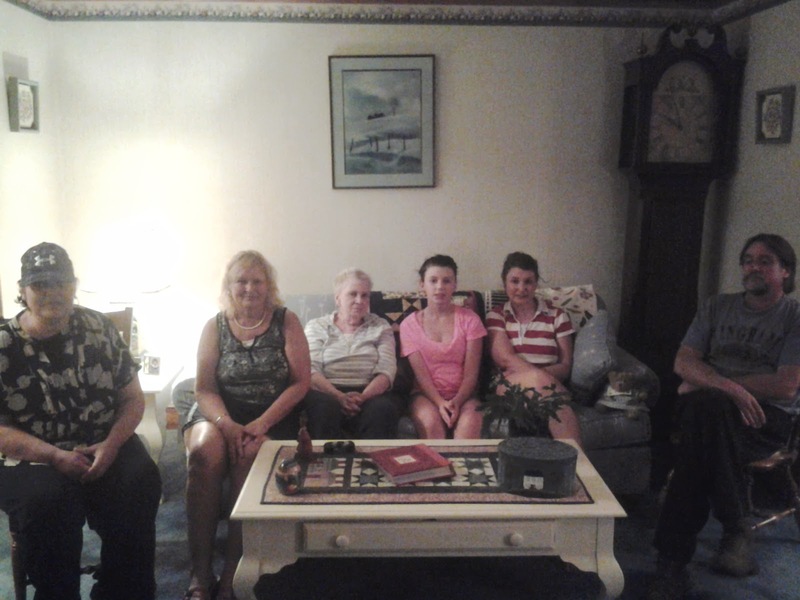 I hadn't seen them (except one of my sister's who visited over the summer) in over a year. Here's some pics I took last time I was visiting. Cervical neck pain can be extremely bothersome. The National Institute of Health doesn’t have statistics on the number of people suffering from the condition, but the pain seems to affect many people. Fortunately, there are a variety of ways that people suffering from it can lessen the pain. There are a variety of things that you can do to manage cervical neck pain. Here are some tips worth considering. Keep in mind that there may be a point where you need to see a professional such as the experts at the leading pain centers in Southern Arizona if the pain is too intense. Many people try to use treatments that sound promising without evaluating their effectiveness. For example, many experts claim that cervical pillows will reduce the problems associated with cervical neck pain. Unfortunately, evidence supporting their effectiveness is inconclusive. Ineffective treatments can make patients complacent and cause them to be discouraged when symptoms don’t improve. Therefore, you will want to focus on treatments that actually seem to work. Using heat and cold can significantly alleviate the pain. Treating cervical neck problems is different than most other types of pain, so ignore traditional advice that you should use cold for the first 48 hours and use heat to reduce tension after. The best approach is to simply use whichever provides the most relief. Take baths rather than showers, because you will have more heat on the problem area. Stretch for about 20 minutes after getting out of bed. Try to stretch the neck as much as possible. Visit a masseuse at least once every couple of weeks. A number of massage therapists offer services for under $25. Releasing muscle tension is one of the most effective ways to treat cervical neck pain. You will need to pay close attention to it. Avoid lifting objects weighing over 50 pounds. Use an ergonomic workstation if you are going to be working on a computer or any other desk job. Try to keep your head up while texting or engaging in other activities. Some experts have stated that cervical neck pain is more common today, because people are keeping their heads tilted down so often. Make sure that you get in the habit of reducing stress in your neck and upper back. Making these lifestyle changes will help address cervical neck pain. I recently got a new fan to review for you. 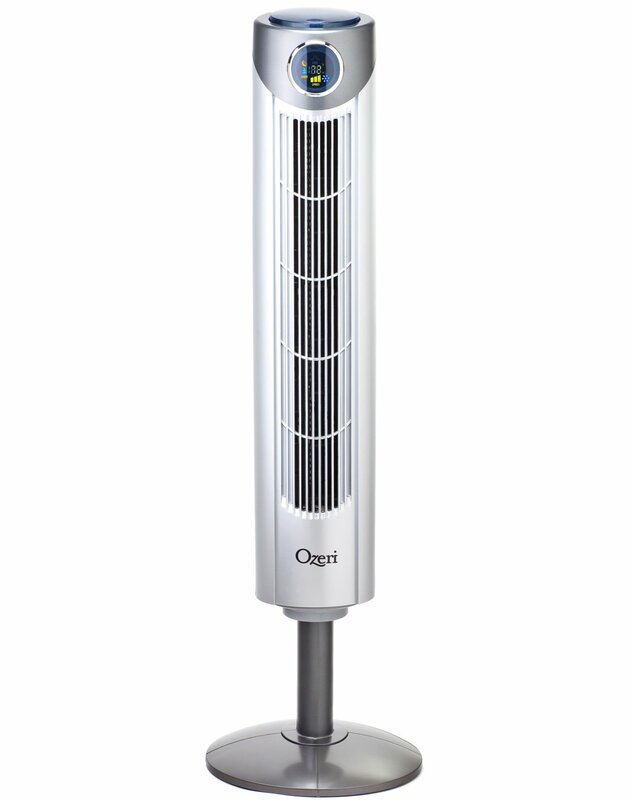 It is from the company Ozeri. I received a product from Quality Encapsulations to test out and review. Today I'm reviewing the Omega 3 Fish oil - I got. 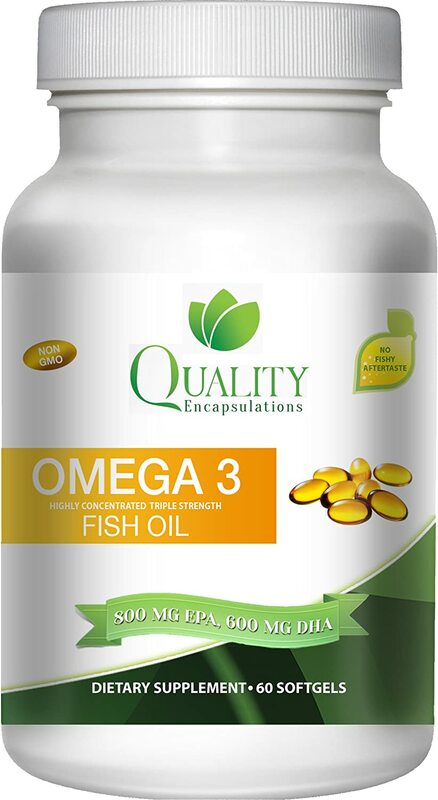 Omega 3 Fish Oil With 600 Mg DHA + 800 Mg EPA Per serving. Helps support healthy heart, brain, joints, vision, skin, and cardiovascular health. Acne is an annoying skin condition that affects between 40 to 50 million people in the United States. Teenagers are most likely to develop acne, but adults often suffer from it as well. Some people still face acne problems well into their 50s. Fortunately, there are some steps that adults can take to minimize the problems it creates. Acne is caused by excessive sebum production, which clogs the pores. The sebum can eventually attract bacteria, which cause the skin to be inflamed. Sebum production usually increases due to hormonal imbalances. The problem is most common in teenagers going through puberty, but can affect adults with hormonal balances as well. Adults suffering acne should try to stabilize their hormone levels to reduce the problems that acne creates. Many of the treatments for acne aren’t appropriate for adults. They focus on addressing hormonal imbalances with teenagers, but adults often experience abnormal hormone levels for different reasons. You will need to find a treatment that properly regulates your hormones to fix the problem. Fortunately, there are still some great treatments that adults can try. There are some great sonic cleansing tools on the market, which can remove dead skin cells that often clog the pores and lead to higher sebum levels. These treatments are relatively new, but appear to be surprisingly effective so far. Salicylic acid has been shown to be an effective chemical for regulating sebum production. You will need to pay close attention to the levels of salicylic acid in the product to see how effective it will be. Levels of 1-2% are ideal for most people, but anyone with highly sensitive skin may want to consider something a little weaker. Some people have highly sensitive skin, so using standard acne treatment products may not be counterproductive. They should look for products that don’t contain granules or anything else that may irritate their skin, because it will only stimulate sebum production and make the problem worse. Cetaphil and Aquanil are two products worth looking into. Many dermatologists and aestheticians offer skin care treatments that may be highly helpful as well. Try looking for a facial service that uses deep pore cleaning with chemical peels to treat acne. The provider will carefully diagnose your skin problems beforehand to determine the source of the problem and the most appropriate treatment. You probably hoped that your acne problems would be over by the time you turned 20. Unfortunately, some people still suffer from acne well into adulthood. The good news is that there are a number of great treatments on the market to address it. I made a short vlog here to let you know about the Jergens lotion I got from Influenster. Visit the Jergens Facebook Page for more info! Disclosure: I received the above product free from Influenster.com for testing purposes only. Americans are highly concerned about having a nice smile. According to the American Academy of Cosmetic Dentistry, 74% of Americans are worried that dental imperfections can cause problems in their career or personal life. Many patients visit cosmetic dentists to deal with these problems. However, some cosmetic dentists offer higher quality services than others, so it is important to screen them carefully first. You want to work with an excellent cosmetic dentist such as Dr. Ban R. Barbat. The American Dental Association doesn’t provide any specific qualifications to become a cosmetic dentist beyond those required for standard licensure. Since any licensed dentist can be practice cosmetic dentistry, patients will need to conduct their own due diligence. There are a number of factors to take into consideration before hiring a cosmetic dentist. Some dentists make cosmetic dentistry a core element of their practice, while others dabble in it occasionally. You will want to work with a dentist that focuses heavily on cosmetic procedures, since they are going to have more practice and offer a higher level of care. The AACD states that innovation is a key driver in enhancing the quality of cosmetic dental procedures and improving efficiency. In addition to new x-rays, they state that iPads and iPhones often include a number of apps that improve charting and analyzing X-rays. You will want to work with a cosmetic dentist that recognizes the importance of technology and invest in it accordingly. They will provide higher quality services than those dentists that refuse to adapt to new technology. You will want to also work with a dentist that provides examples of work they have provided for prior patients. Looking at before and after pictures will give you a sense of the quality of care that they provide. Communication skills are extremely important to consider when working with any professional and cosmetic dentists are no exception. You will want to make sure that the dentist clearly understands your problems so they can provide the necessary treatment. They will also need to be able to clearly convey the treatment options worth pursuing. You also need to work with a dentist that does everything possible to improve convenience for patients. They should be flexible with scheduling and offer a wide range of payment options to make life easier. Some cosmetic dentists offer a higher level of care than others. You will want to work with a professional that has plenty of experience and a solid track record for delivering the necessary treatments. 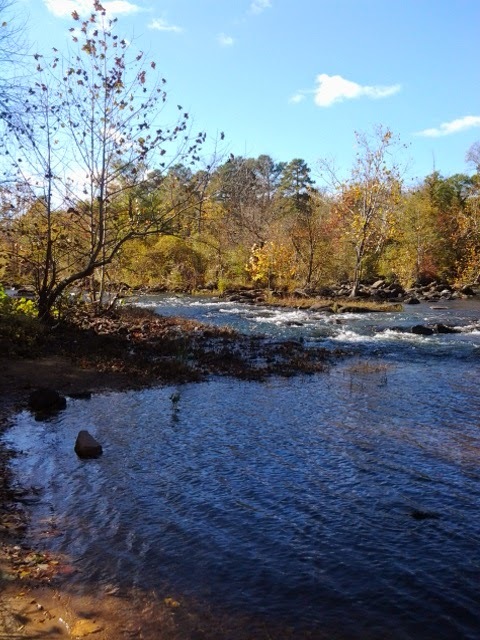 My husband and I found another place that was really nice for a nature walk. We have been to a different section of the river - but we found another one we hadn't been to before. Forget the Apples, Do Green Tea and Exercise Keep the Doctor Away? We all know the old saying: "An apple a day keeps the doctor away." That trusty old saying is all well and good if you have an apple tree full of apples, but what if you don't? Fortunately, there is another time-honored, age-old recipe for health: a good cuppa tea and old-fashioned exercise. Nothing else comes close to that combination for keeping your body healthy and strong. Except, of course, possibly apples. Who likes taking medicine? Listening to prescription advertisements that rattle off side effects as if they were fine print features of a car commercial always makes me feel a little unwell. Avoiding side effects caused by prescriptions is a great reason to stay healthy. By going to the source of where medicine comes from - plants - you can naturally boost your immune system so that it can fight off sickness without ever needing meds. How can you do this easily? By making green tea. To put it simply, green tea just makes you healthier all round. Simply heat your water to boiling, then remove it from heat and wait a full minute to let the temperature drop to about 160°. Any hotter, and you could destroy some of the amazing properties. Then add your tea and let it steep for as long as you like, but at least five minutes. The longer you steep it, the more potent it will be. To sweeten it, add raw honey for maximum health benefits. Maple syrup is also a delicious, healthy sweetener. If you prefer iced tea, you can skip heating the water and simply steep the tea in the refrigerator overnight. Enjoy it in the morning for an extra-healthy shot of green goodness. Regardless of how unhealthy you may feel, a little exercise is all it takes to get the ball rolling in the right direction. Nobody said you have to go buy the fancy workout kit, although you may be ready for it in a few months as you discover how much fun exercise has become! Even though apples are great, they really are a bit overrated. By using a little green tea and a little exercise, you can give thanks as you watch your health improve until you can say goodbye to the doctor. You might even save some money on apples. This post was contributed by Cherry Creek Medical Weight Loss. The Denver-based clinic specializes in assisting people with weight loss and hormone therapy. I have another review and giveaway for you from Trusted Health Products. This time it is for the product called Runners Choice. The Runner’s Choice is for the discomfort of sore feet. It is designed for people that are on their feet all day or for people that run 3 miles or more at a time. After you try this product the first time, you will be back for more. The Runner’s Choice is scientifically formulated with 100% natural botanical oils of almond, eucalyptus, eucalytol, wintergreen, peppermint, and spearmint. Unlike many commercial creams and lotions, the botanical oils in The Runner’s Choice are very easily received through the pores in the skin, with simple topical application, and no rubbing. Apply to feet immediately before and after running, jogging, or when you will be on your feet for long periods of time. Coat the bottom of your feet, between the toes and the top and 2 inches above the ankle for best results. Do not rub in (rubbing is not required for effectiveness). Wash hands after use. Avoid contact with eyes and other sensitive tissue. Keep out of reach of children. Do not use on open wounds. Unlike many commercial creams and lotions, which require rubbing in, the botanical oils in The Runner’s Choice are most effective with gentle topical application, and no rubbing. The body recognizes the natural properties of these botanicals, and receives them very well as they gently soak through the pore openings in the outer layer (epidermis) of the skin.